CURT rollers make it easy to tow a 5th wheel trailer with your short-bed truck. They are built with solid, non-binding rods and safely move the coupling point 12" rearward for stress-free maneuvering. 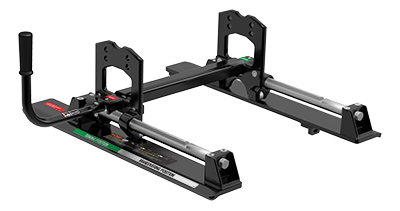 We offer a range of weight capacity options to suit any setup.